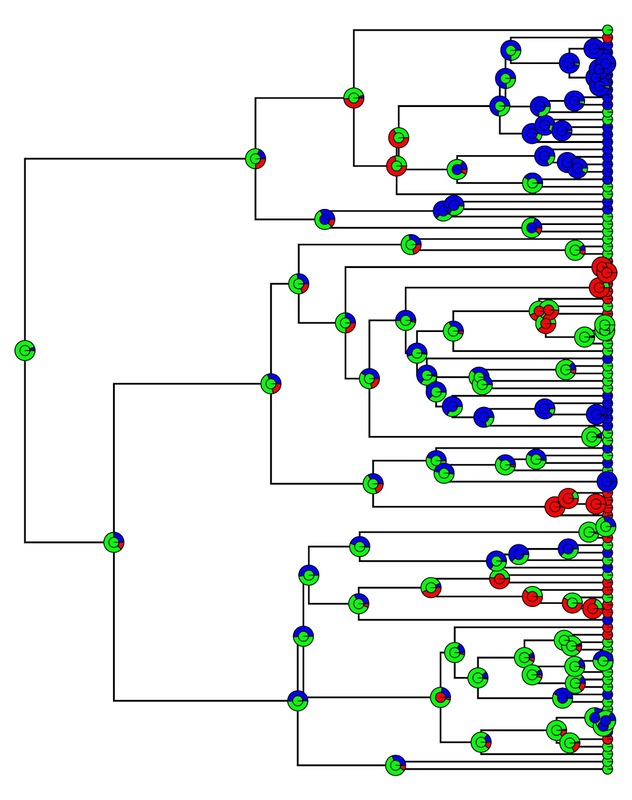 Well, at interesting idea that came up at the NESCent Evolutionary Quantitive Genetics workshop was using other models (such as the OU model) for the evolution of liability on the tree. OU is often used as a model for stabilizing selection. Obviously, in a strict threshold character, liabilities are "hidden" and thus selection should not, in theory, be able to operate directly on liability. 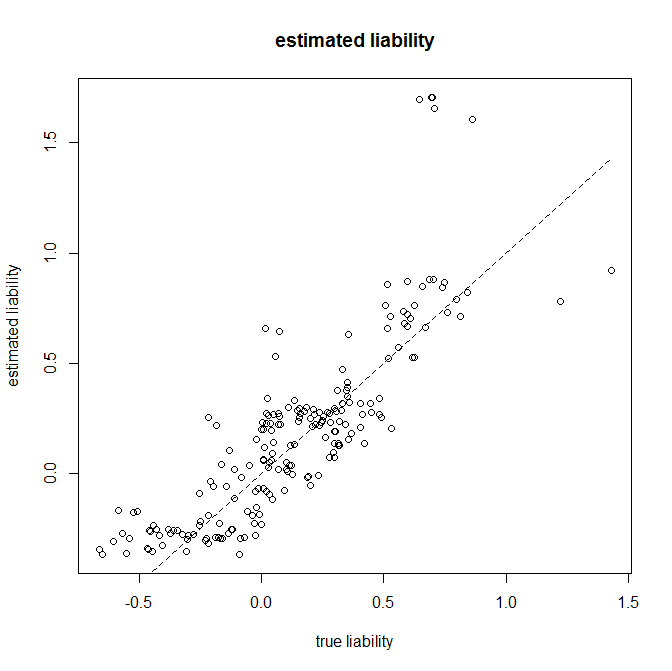 Nonetheless, we thought that OU might still be a good model for the evolution of liability under some circumstances. Some example might include, for instance, circumstances where liability has a pleiotropic effect on other non-threshold characters that are under selection; or when liability has natural bounds that create a tendency to revert to an intermediate value (e.g., blood hormone level cannot increase or decrease indefinitely without bounds). I have just posted a new version of ancThresh that allows the user to fit OU as well as BM. 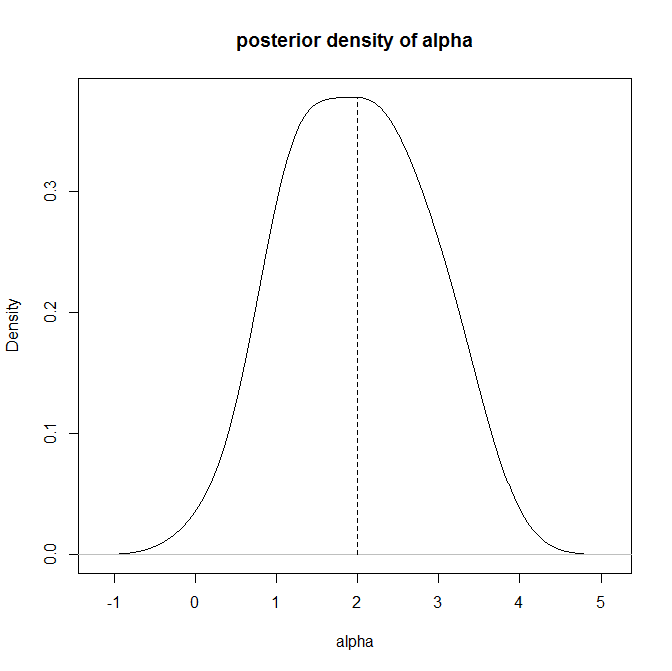 A big question in my mind was how well it would work - given the shortage of data about trait evolution that seems likely to be containing in a two or three state discretely valued trait. So, somewhat surprisingly, with as little as three discrete character states we are doing quite well (at least in this instance) of estimated α in the OU model; and we are fairly good at reconstructing ancestral states & liabilities. Is it possible to get the liability (or state) optima from the output?